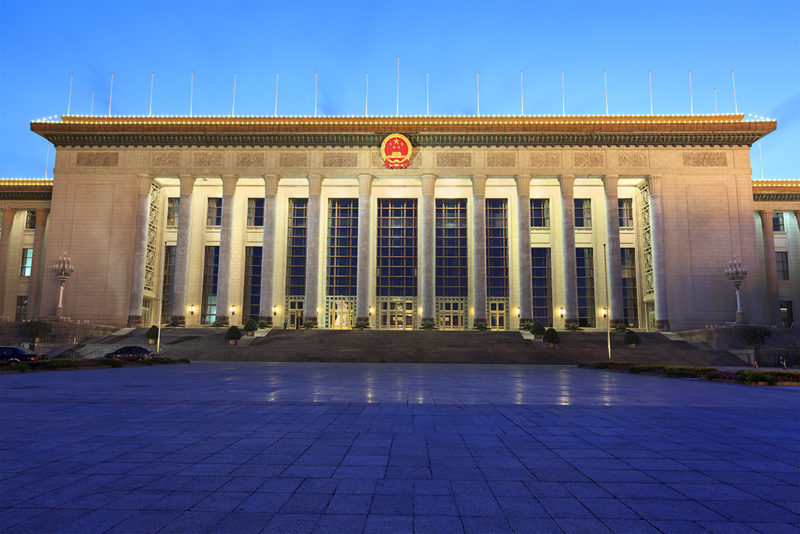 The ‘Two Sessions’ compose the most important legislative event of the year in China. Two different bodies meet, the legislative—National People’s Congress—and the political advisory—the Chinese People’s Political Consultative Congress, to review and vote on a variety of laws proposed prior to the event. Jacob Gunter, Policy and Communications Coordinator at the European Chamber, brings us some of the highlights from the 2019 gathering. On 5th March, Premier Li Keqiang delivered the annual work report at the 2019 Two Sessions. His speech began with a summary of the work completed over the previous year before expounding on the ten-point agenda set for 2019. Among the more anticipated contents of the speech was the annual GDP growth rate target, which at 6 to 6.5 per cent was slightly lowered from the previous year’s goal. To help drive that growth, a series of broad reforms were announced. Regulatory improvements to improve the ease of doing business while also pushing down administrative costs were covered, as were several taxes expected to be lowered over the coming year. However, as important as the plans to spur growth were the commitments on what the government will not do to hit its GDP target. Key among these, it was made clear that the focus on resolving structural risks and addressing the overleveraged and debt-ridden economy would not be sacrificed to artificially spur growth rates. Focusing so much on regulatory and administrative reforms is a positive sign in the eyes of European companies, which remain ready to consult with the Chinese Government to improve the business environment. However, the business community also recognises that many of these commitments have also been made in the past few years. While progress has been made in several areas, the pace of reform continues to lag behind expectations foreign companies have for the developed and mature economic power China has become. Advancing these commitments more rapidly is thus critical moving forward. Prior to December 2018, the most recent draft of the Foreign Investment Law (FIL) was released in January 2015. The 2018 draft FIL was significantly less detailed than the 2015 one, and read much more like a list of policy intentions than a proper law, sparking some concerns within the international business community. 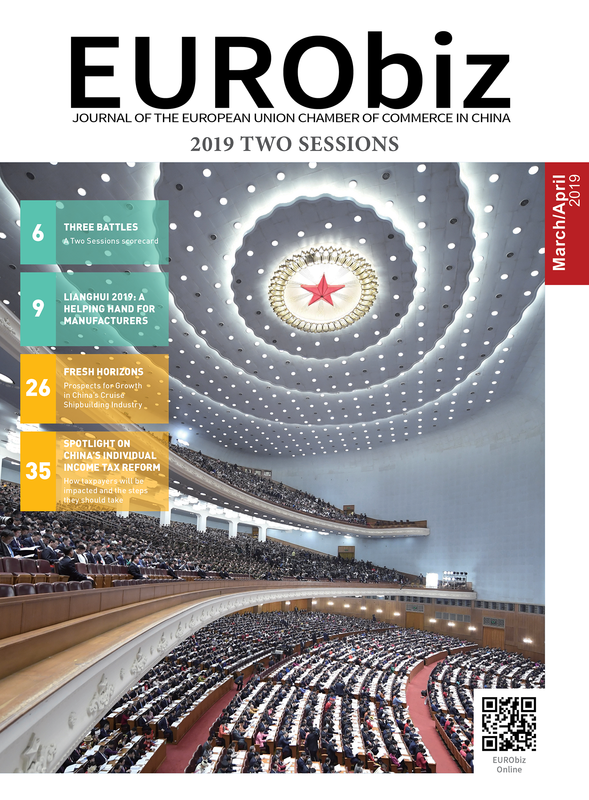 In response to the 2018 draft, the European Chamber prepared feedback to submit to the Chinese government. Comments were collected from members and organised into an article by article submission, but the draft FIL was also commented on more generally. The top concern of European businesses was, and continues to be, the very existence of a separate legal framework to govern foreign investment. Beyond that, the generally vague language and broad nature of most articles leaves far too much room for interpretation. For example, the FIL prohibits administrative bodies from using administrative means to force a foreign investor to transfer technology. This leaves considerable room for interpretation, and should instead simply be a prohibition on forced technology transfer from foreign investors. The process for the revisions of the draft FIL unfortunately fell outside of commonly accepted procedures for legislation in China, undoubtedly due to a desire to push the law through to reassure negotiators seeking a deal to end the US-China trade conflict. After the December 2018 draft was released, a call for comments went out with a deadline in February. However, the draft was unexpectedly rushed forward, and reviewed and altered in late January, meaning that comments being collected by stakeholders that had not yet been submitted were not taken into consideration. The final version of the law that was passed included several changes suggested by the European Chamber, specifically to articles 4, 9, 16, 24 and 26. However, the much more significant changes that were called for were not made. For example, Article 40, which gives the government sweeping and unilateral rights to respond to discriminatory actions against Chinese investors in other markets with negative reciprocity. This creates significant uncertainty and also runs contrary to the rules and ideals of the WTO, which is the appropriate place to address such disputes. In the coming months, a wide variety of follow-up regulations, directives and interpretive documents are expected to be released. The European business community hopes that they provide clarity and sufficient specificity so that the FIL can fulfill the commitments surrounding it. With the economic slowdown driving concerns, many have asked whether China will revert to the heavy stimulus strategy it employed following the 2008 financial crisis. While the agrarian-themed idea of ‘flood irrigation’ employed then may have averted a deepening of the crisis, it may also have planted the seeds of the next one. Monetary easing and massive government spending flooded the market with quick growth, but like its namesake, it left pools of wasted water in the lowlands and did nothing for elevated areas. As a result, China was spared the effects of the financial crisis, but left with underutilised infrastructure, industrial overcapacity, bloated state-owned enterprises and a mountain of debt. Based on the mantra-like insistence from top leaders that the government will not resort to such a strategy again, coupled with the patterns that have been seen over the past year, businesses should not expect the floodwaters to rise again. Instead, more targeted tools are being applied, and any broad solutions being used are done so more conservatively than before. As was made clear throughout the Two Sessions, efforts are being made to improve the business environment and cut back on administrative burdens and fees. Those amount to small improvements and savings for each step, but with many areas in which progress can be made, the sum of each improvement may prove meaningful. Additionally, the government is cutting away at taxes across the board. VAT, for example, will go from 16 to 13 per cent for most industries. As stated in Premier Li’s work report, these cuts should total roughly CNY two trillion. To free up more money in the market, the government has progressively lowered the reserve requirement ratio (RRR) over the past year. Since 2015, China’s RRR rate has dropped by 6.5 percentage points, 3.5 of this in the last 14 months. That acceleration freed up considerable amounts of cash, but it makes China play a card from its policy hand that is difficult to get back. However, there is still room for further dropping this rate if needed, as many countries have set their RRR in the low single digits. However, these measures certainly bring challenges. Lowering taxes will necessitate the government to either tighten its belt, or take on greater debt, both of which run contrary to other goals. Additionally, dropping RRR rates raises systemic risk in the banking system, which would contradict efforts to tackle risk throughout the economy. With no easy answer to these challenges, Chinese leaders will have to strike an appropriate balance between competing goals. However, barring drastic changes on the ground, there are few indicators that imply a return to the wasteful stimulus approaches of the past. Share the post "China’s Political Season"